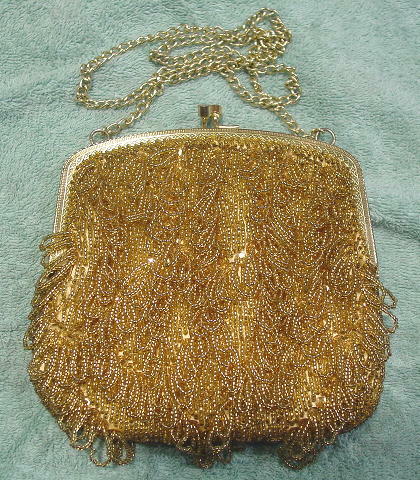 This vintage handmade purse has gold-tone tiny beads and gold-tone sequins at the base of the beaded loops. It has an etched design gold-tone rim and bypass closure. 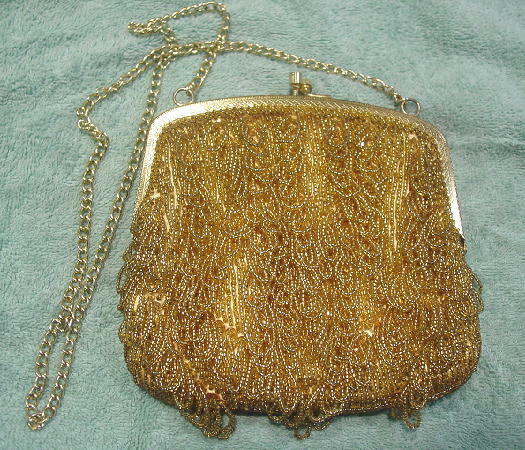 It has a 28" long gold-tone metal link chain shoulder strap. 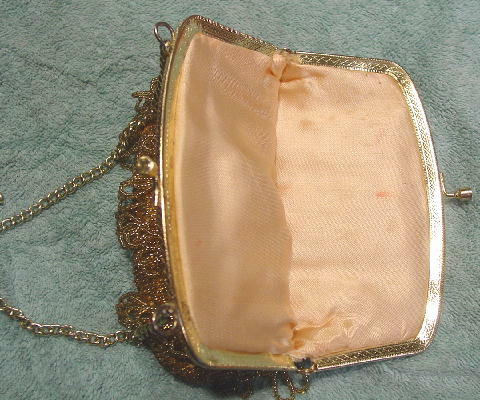 The purse has some interior padding and a golden-yellow satin lining with two red lipstick marks. It has lots of detail. It's from a French model/actress. She wore it to several movie premieres, the Cannes Film festival, and several parties in St. Tropez. It has a bit of weight to it because of all the beads. She said she always got compliments on it.